A religious revitalization that swept across the country in the form of many reforms. 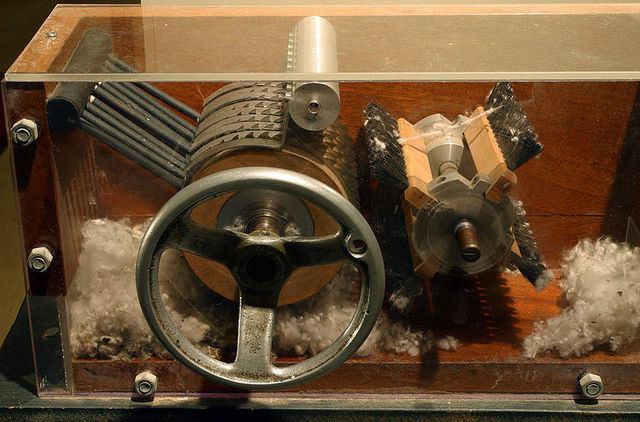 A potential inadvertent cause of the American Civil War, the cotton gin revolutionized the cotton industry in the US and increased the demand for slave labor in the South. 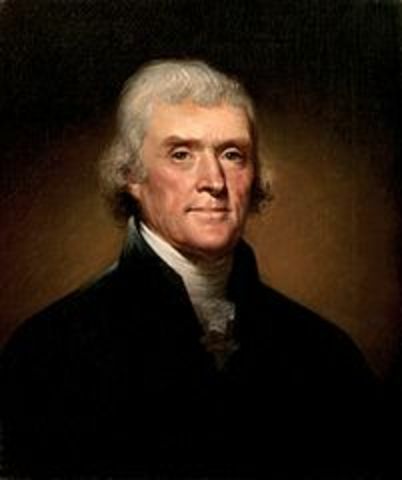 Thomas Jefferson was elected president. 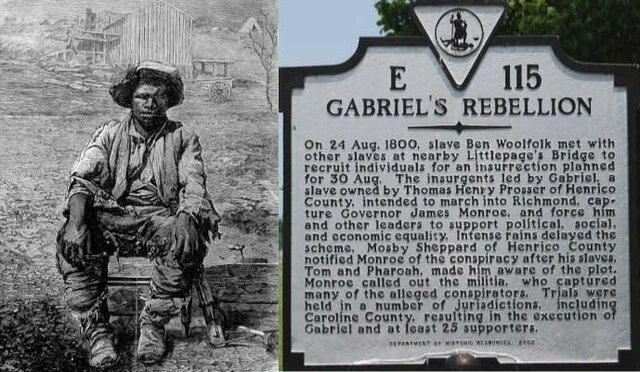 A slave named Gabriel led a revolt in Virginia where he was expose to James Monroe. 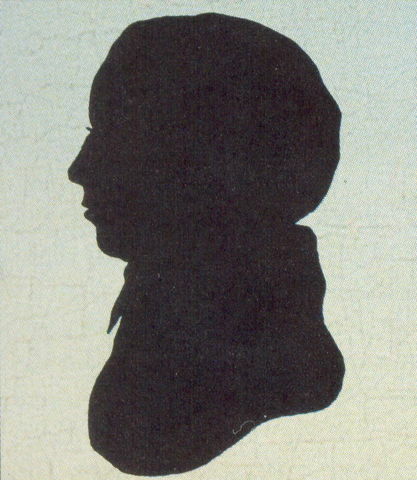 He and his brothers and 23 other slaves were hanged. A landmark case that marked the Supreme Court's precedent of judicial review. 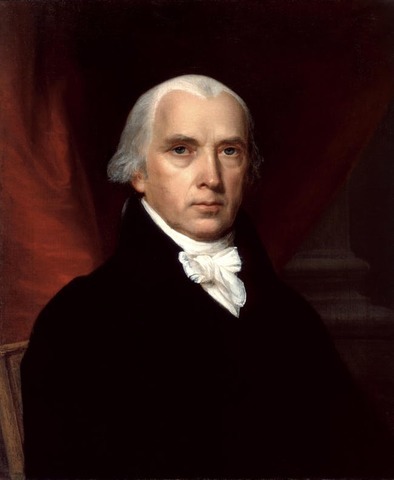 Marbury petitioned the Supreme Court to force the new Secretary of State, James Madison, to deliver him documents he was due. 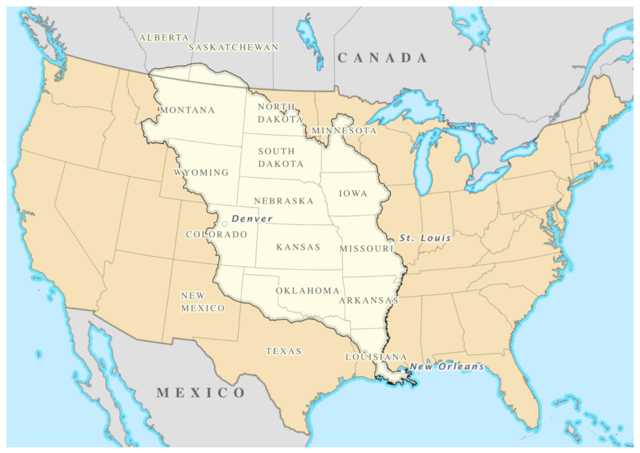 The purchase of the Louisiana Territory from France for the USA, which consisted of 828,000 square miles of land, purchased for $15 million. Known as the Corps of Discovery, Clark began the journey from Camp Dubios and headed to Missouri to retrieve Lewis. 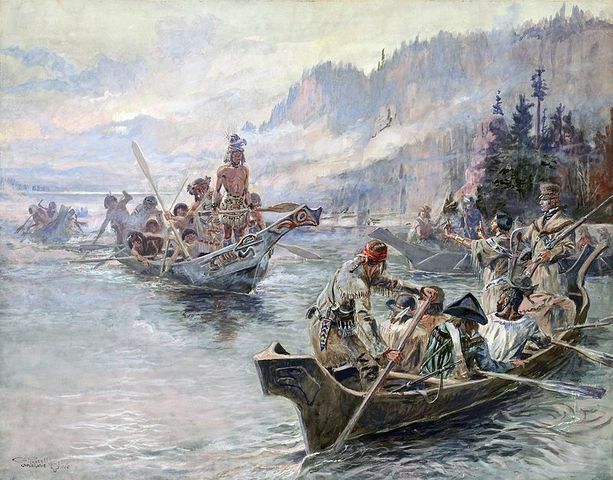 The expedition used the help of many Indian tribes and explored much of the current western USA. A naval battle fought off the coast of Norfolk, Virginia between the HMS Leopard and USS Chesapeake. The Chesapeake was boarded and impressed, though allowed to return home. 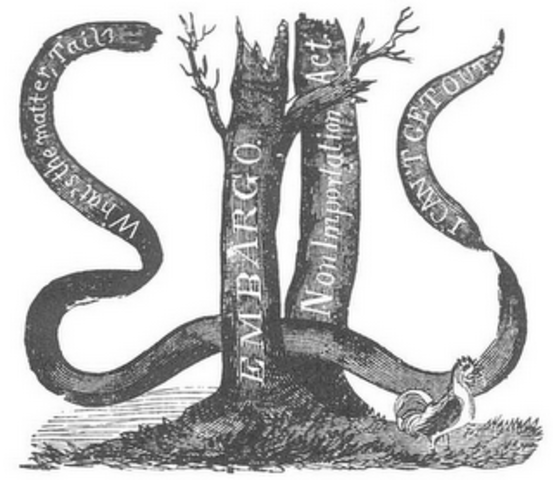 This caused such an uproar it pushed Jefferson to try economic warfare - the Embargo. 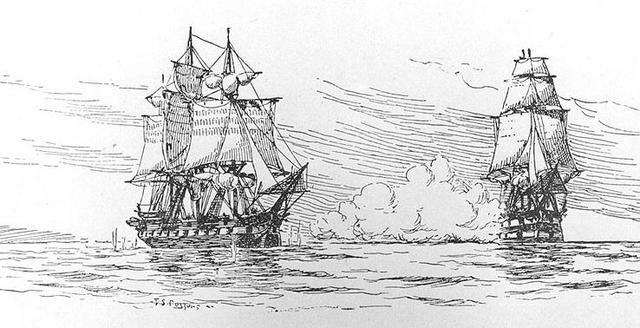 Prohibited American ships from trading in all foreign ports, and was enacted as an attempt to regain trading rights with Britain and/or France. One of the causes of the War of 1812, and known as the "hated embargo" since Americans despised it so. Lifted the Embargo Act of 1807, except for those bound for British or French ports. 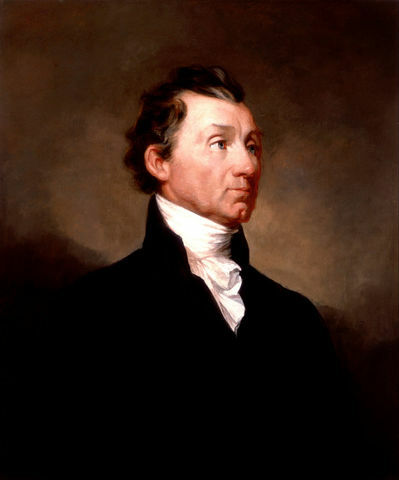 His presidency was dominated by the War of 1812 and affairs with Great Britain.He was re-elected also. This played a role in jumpstarting the Industrial Revolution in the United States. 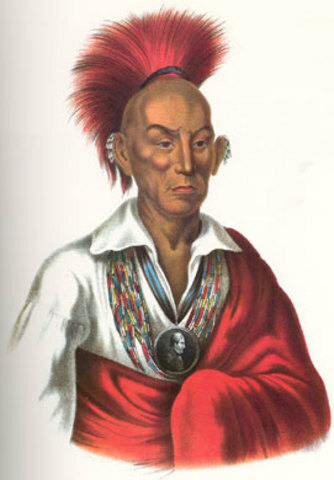 His death and the end of the War of 1812 caused the multi-tribal alliances to collapse in failure. 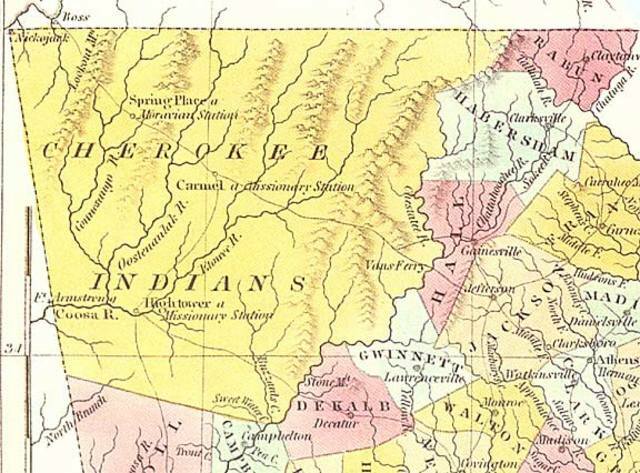 Within a few years, many remaining tribal lands were ceded to the USA and what remained of the Indians fled west, across the Mississippi River. 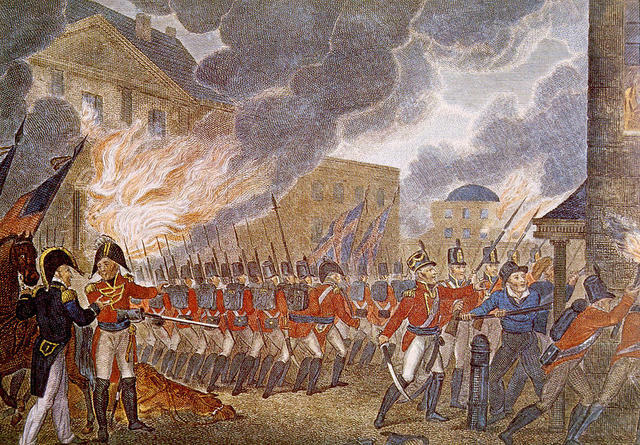 Was a British attack against Washington, DC in the War of 1812 in which the White House was burned to the ground. 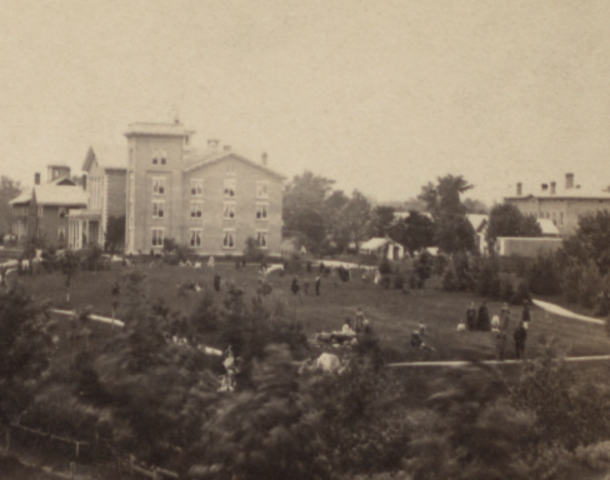 The attack was partly in retaliation for the destruction of Port Dover in Canada and marks the only time in American history that the White House has been occupied by a foreign force. 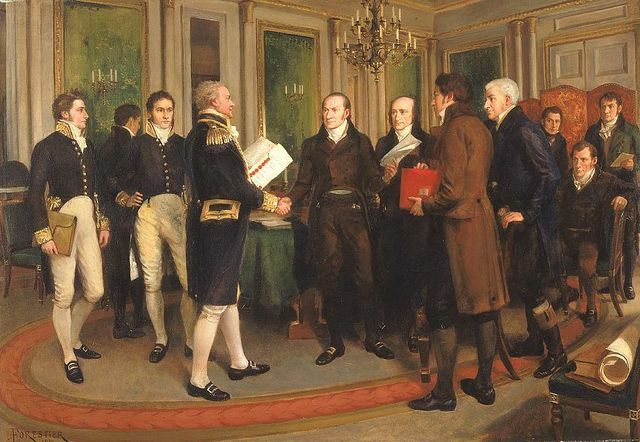 The War of 1812 ended in a virtual stalemate, with the signing of the Treaty of Ghent. All territories conquered were returned to their original owners, and largely, the war simply proved the US's ability to defend itself. A series of battles fought at New Orleans during the War of 1812. 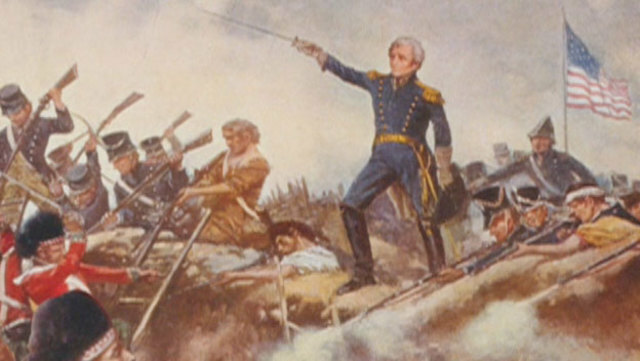 Led by Major General Andrew Jackson, it signaled one of the last major battles of the War of 1812. 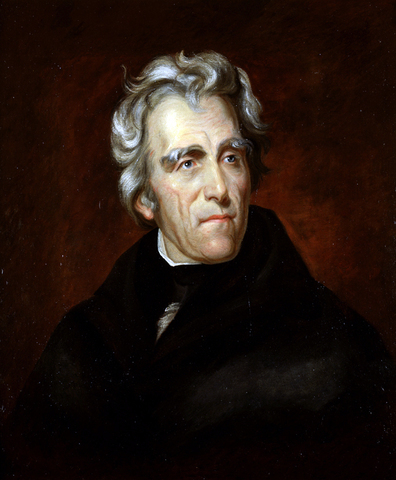 Jackson prevented Britain from seizing New Orleans and the rest of the Louisiana Purchase. A series of meetings in which the New England Federalist Party met to discuss their grievances with the currently on-going War of 1812. 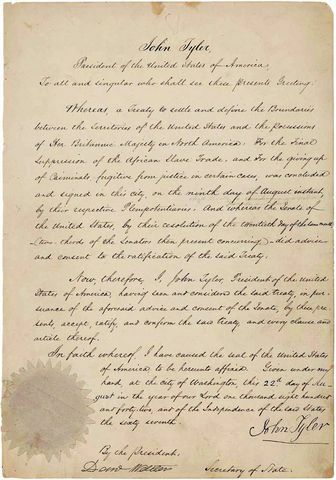 The convention discussed removing the three-fifths compromise which gave slave states more power in Congress and requiring a two-thirds vote in Congress for the admission of new states, declarations of war, and laws restricting trade. However, Jackson's victory at New Orleans disgraced the Federalist party and removed them as a major political force. Marked a period in American political history where there was political unity among the United States, owned largely by the single Democratic-Republican Party. 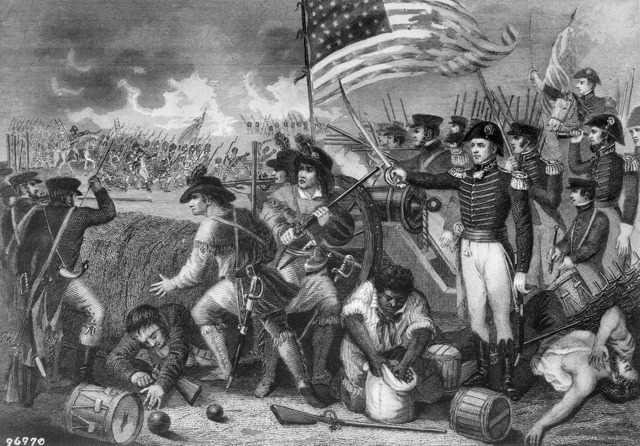 It ended the War of 1812 between the United States of America and the United Kingdom of Great Britain and Ireland. This election marked the last time the Federalists wielded a presidential candidate. 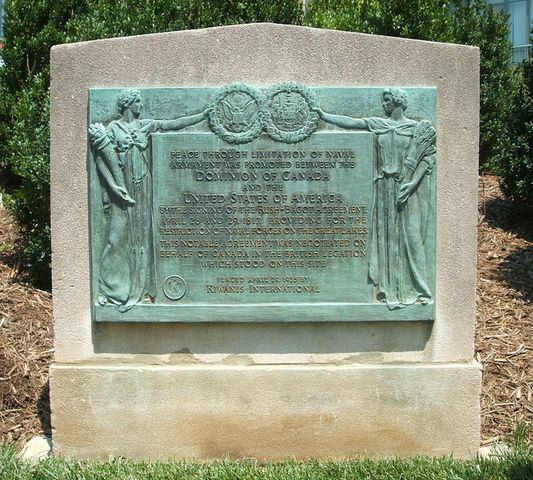 An international treaty between the USA and Great Britain which settled outstanding boundary disputes over Oregon, which ended with the border between modern-day USA and Canada on the 49th parallel. 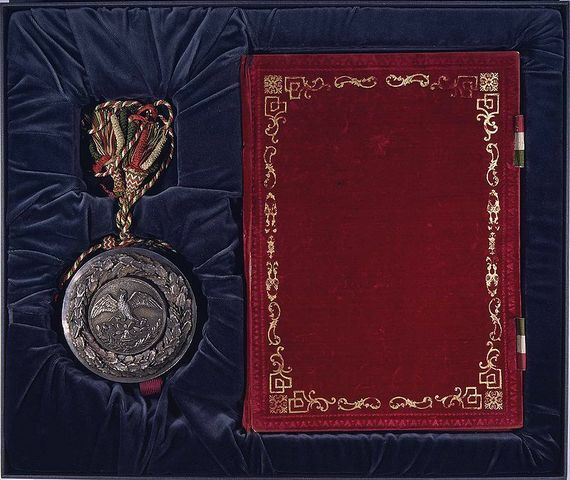 A treaty signed between the United States and Great Britain following the War of 1812 to cease armaments on the Great Lakes and Lake Champlain. 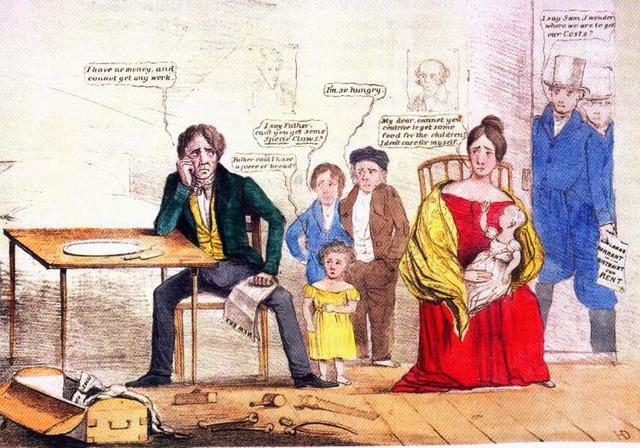 The first major peacetime financial crisis in the US followed closely by a general collapse of the economy lasting through 1821. Unrestrained paper money and changing world economics led to the nationalization of a common currency. A landmark decision that decided public vs. private charters and in the American free enterprise system, alongside rise of American business. 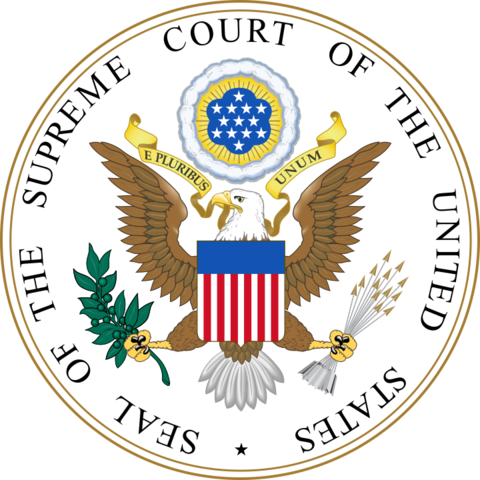 Maryland attempted to tax the Second Bank of the United States, and the Supreme Court invoked the Necessary and Proper Clause to determine Maryland did not have the authority to do that. Set a precedent where states could not tax national banks. A decision which permitted Maine as a free state and Missouri as a slave state, and decided all new states north of the 36°30′ parallel, excluding Missouri, were free states while those south of the parallel were slave states. A treaty between the United States and Spain that ceded the Florida Territory to the USA, and marked the boundary between USA and New Spain. 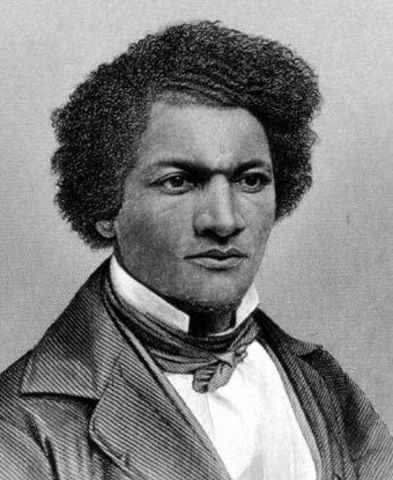 Denmark Vesey, a slave, plotted a rebellion in Charleston, South Carolina. However, loose lips from deeply loyal slaves who warned the city led to his sentenced death and an all-around failed revolt. 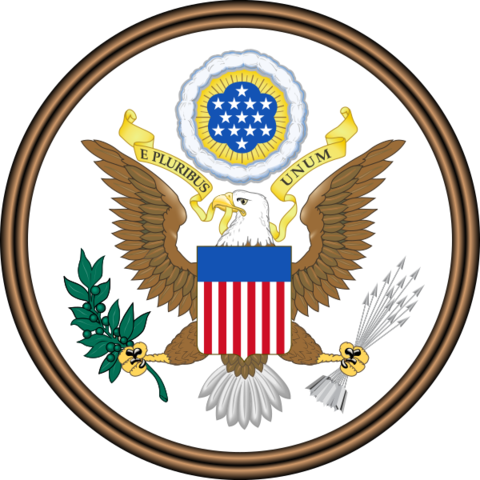 A policy that stated any further efforts by European nations to take control of any independent state in the western hemisphere would be viewed as "the manifestation of an unfriendly disposition toward the United States," though the United States agreed to not meddle with existing colonies. John Quincy Adams Elected President - the "Corrupt Bargain"
In the election of 1824, Henry Clay, Crawford, Andrew Jackson, and John Quincy Adams ran for president. No candidate reached the majority and so the top three choices were sent to the House. Clay was eliminated immediately, but was the Speaker of the house; Crawford had a stroke. 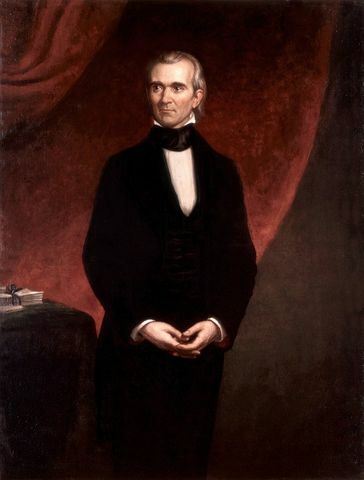 It is believed Clay struck a deal with Adams that if he could sway the House to elect him as president, Adams would make him Secretary of State, a stepping stone to the presidency. A landmark supreme court case that decided underneath the federal government's ability to regulate interstate commerce gave it the right to regulate interstate navigation. 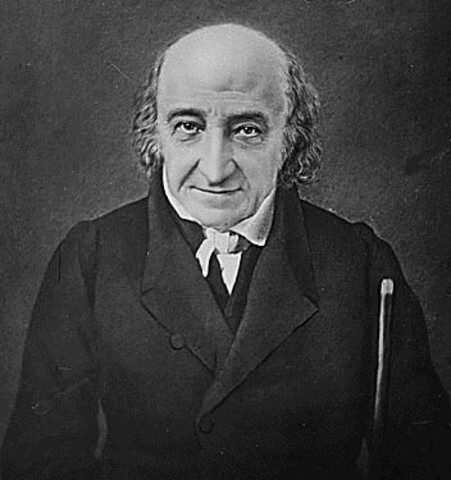 A religious writer and zealot that existed in New York/Manhattan and known as the Father of Modern Revivalism. 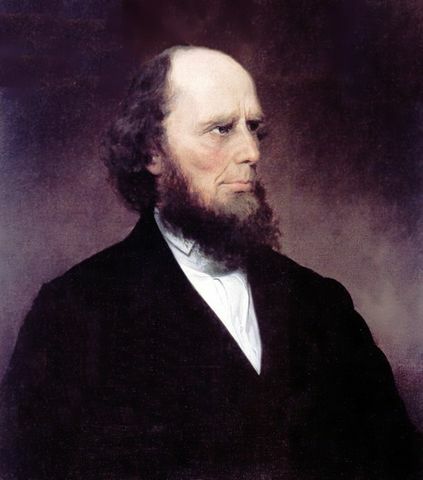 He promoted social reform through his perfectionist Christianity, such as abolition of slavery and equal education for women and African Americans. Robert Owen started a community called New Haven that he intended to be a morally utopian town. 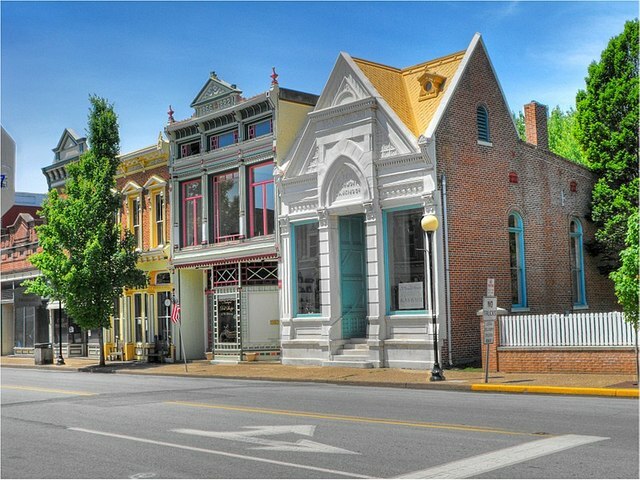 Town residents established the first free library, a civic drama club, and a public school system open to men and women. 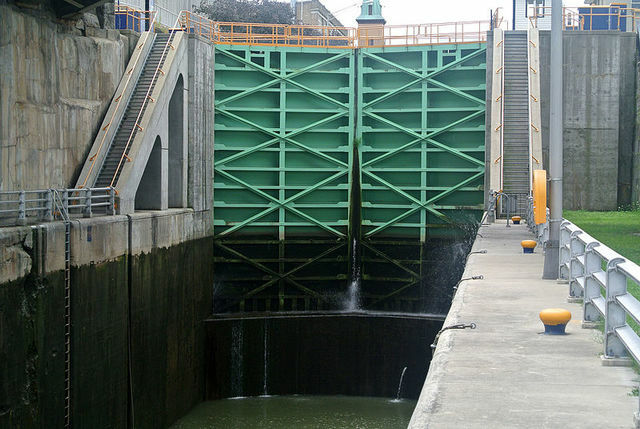 A canal that united the country and led to New York being a booming commercial center. 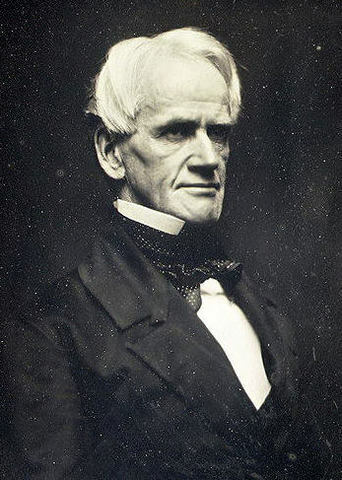 Lyman Beecher was a minister who delivered these sermons after seeing the detrimental effects of alcoholism on New England. 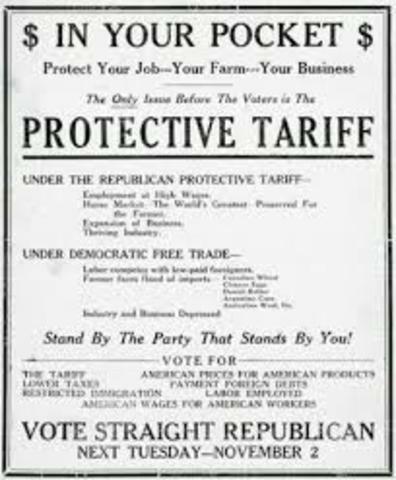 A protective tariff that infuriated the Southern United States, since it essentially economically discriminated against them for protection of the Northern US's economy. Won the presidency of 1828 by an overwhelming majority, and his rule was one of passionate nationalism. Jackson was strongly supported by the West and the South and hated the Bank of America. 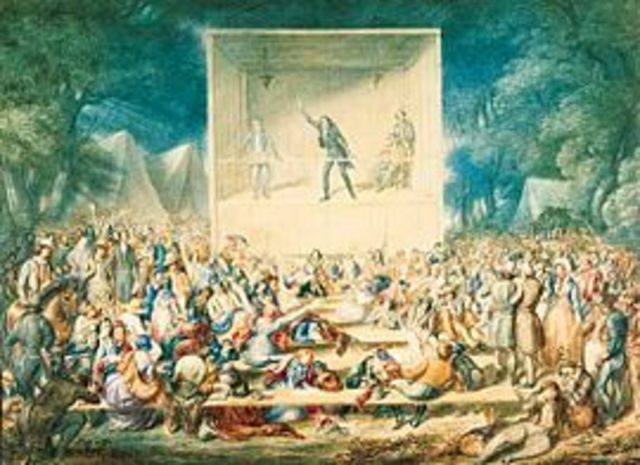 Joseph Smith founded a Christian restorationist church and called it the Church of the Latter-Day Saints in the period of religious revival known as the Second Great Awakening. An intended to be voluntary removal of Indians from the South to the midwest which turned into the nightmarish Trail of Tears. 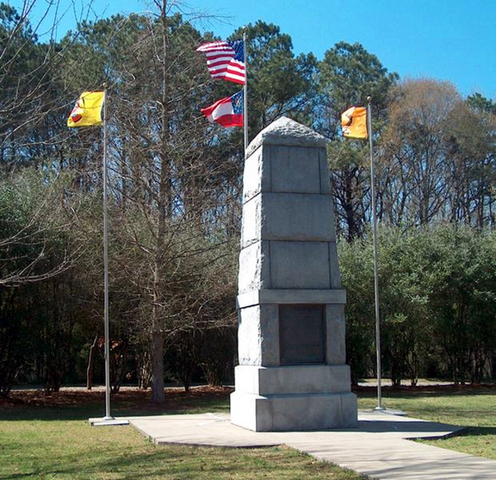 Southerners appreciated the bill greatly, with resistance coming from the Whigs, New England whites, and the Indian tribes themselves. Some led grim uprisings that failed. 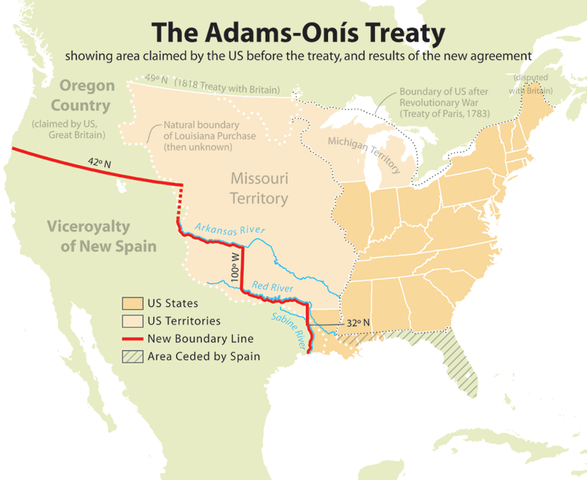 The forced removal of Indians, namely from the southeastern area, to the midwest (Oklahoma). The movement was grueling and many died. A landmark case that essentially ruled that the federal government was the sole authority to deal with Indian nations. 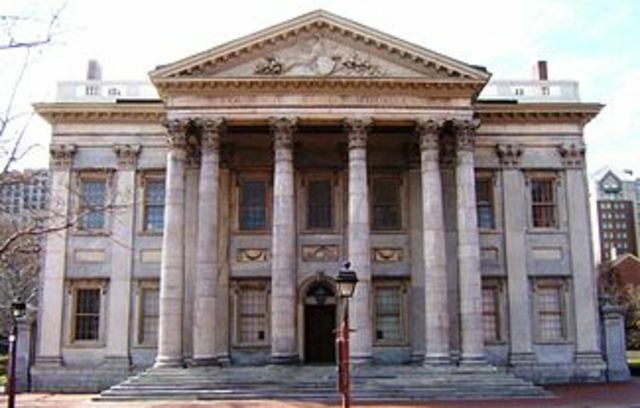 President Andrew Jackson searingly vetoed the proposed recharter of the Second Bank of the United States, eyeing the bank as a moneyed monster. This and his withdrawal of funds from the Bank caused booms and busts to begin to occur in the economy. A confrontation between South Carolina and the federal government (helmed by Andrew Jackson) where SC declared the Tariffs of 1828 and 1832 unconstitutional, and therefore null and void within South Carolinian borders. A brief conflict between the US and native Americans. 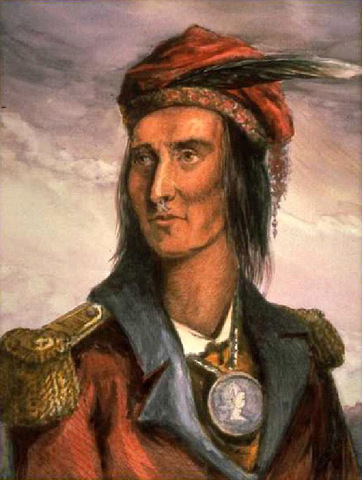 Black Hawk's intentions were unclear, but believed to be hostile, and he and his army were beaten. 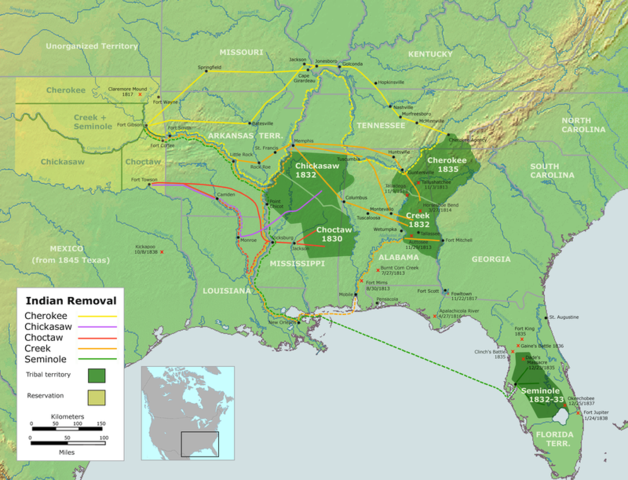 It propelled the idea of the Indian Removal Act. 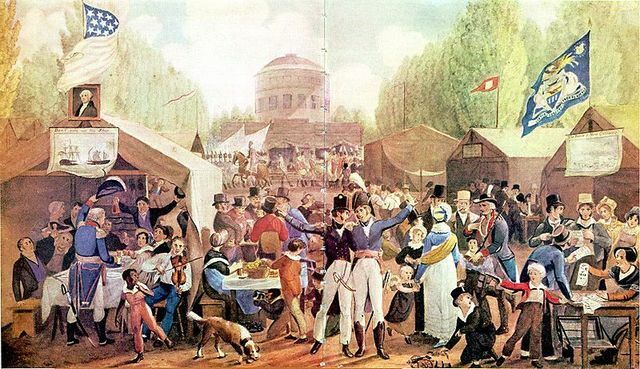 An anti-Jacksonian party that rose to power in the 1830s. It was central to the rising two-party system and proved the vitality of it. The legal justification for the Trail of Tears, though it was only ratified by the United States and the Cherokees it displaced never signed it. 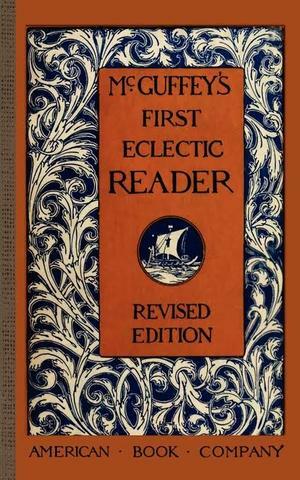 Due in part to the literature reforms of the time in convergence with the Second Great Awakening, readers helped with the reformation of the school system and increased the literacy of the population. 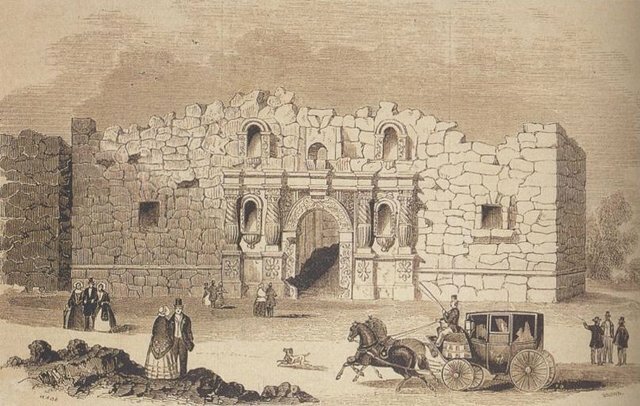 A pivotal battle in which Santa Anna's cruelty inspired more troops to enter the Texan army, leading to Santa Anna's defeat in San Jacinto. 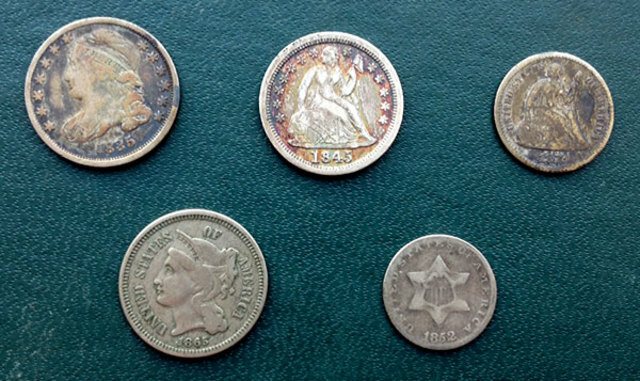 Required that land payments be made in gold and/or silver. 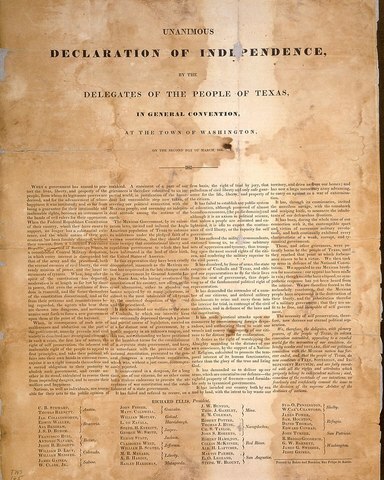 Texas declared its independence from Mexico with the Texas Declaration of Independence. 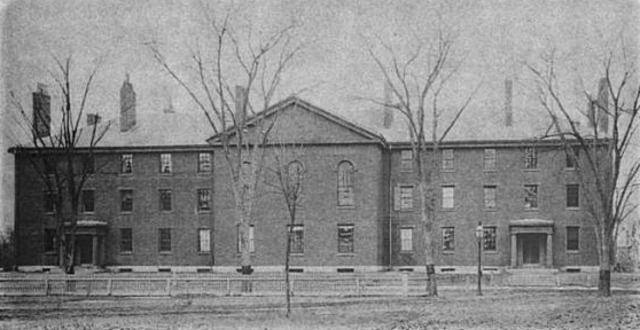 Frederic Henry Hedge, Ralph Waldo Emerson, George Ripley, and George Putnam met in Cambridge, Massachusetts, holding the first meeting shortly after in Boston. It taught that divinity pervades all aspects of humanity. Greatly reformed education after being appointed. He condemned corporal punishment. He also pushed for more and better school houses, longer school years, higher pay for teachers, and a wider curriculum. A financial crisis where profits, prices, and wages went down while unemployment went up. Speculative pricing and restrictive lending policies in Britain were all to blame. 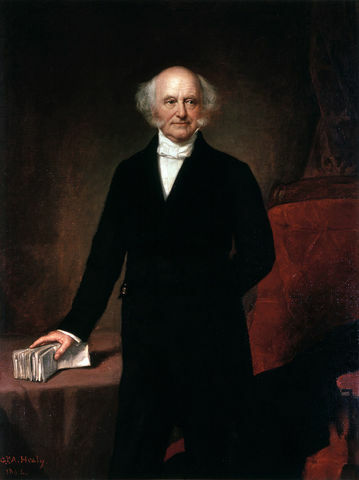 Martin Van Buren elected president. 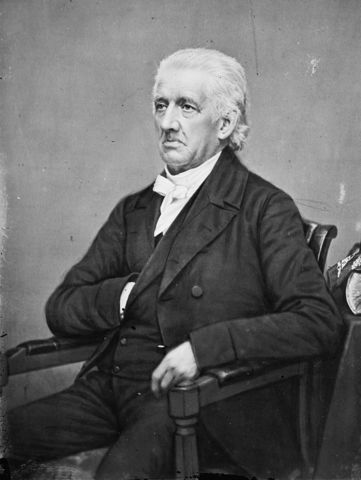 A democratic successor to Andrew Jackson who dealt with the aftermath of Jackson's dispatched Bank of the United States with a separate treasury and forced payment for land in hard currency, or coins. A speech Emerson gave to Harvard in 1838 where he claimed intense individual moral thought transcended, or was more important, than religious moral teachings. A belief that Americans were to go westward to conquer the new lands and build their empire from coast to coast. A treaty that resolved border disputes between America and the British North American colonies, or the region to become Canada. It redefined the border at the 49th parallel and gave equal use of the Great Lakes to both. Treaty between the US and China that gave the US comfortable trading rights in China's ports, but few for Chinese in the US. 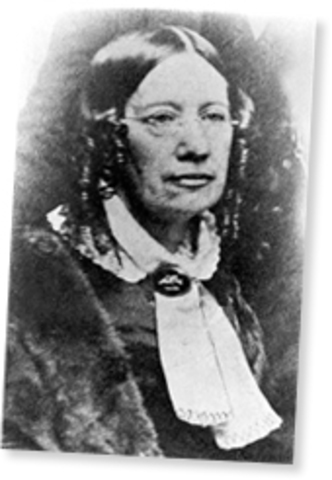 Catharine Beecher was a advocate for women in teaching, but in a way she was an anti-suffragist that enforced the ideals of women staying out of "men's work." Instead she feminized the teaching profession. 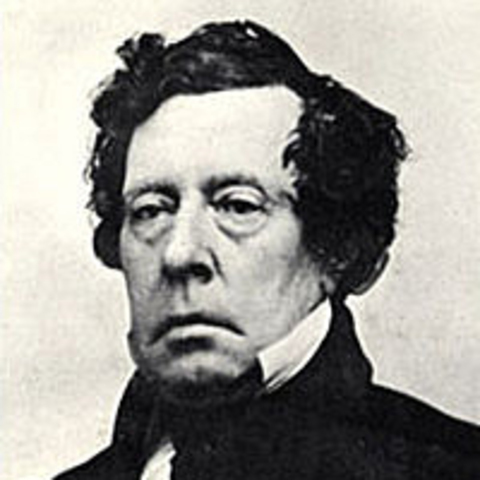 A democrat who assumed office after defeating Henry Clay in the election of 1844. Influential in foreign relations, he is considered one of the last strong pre-civil war presidents. 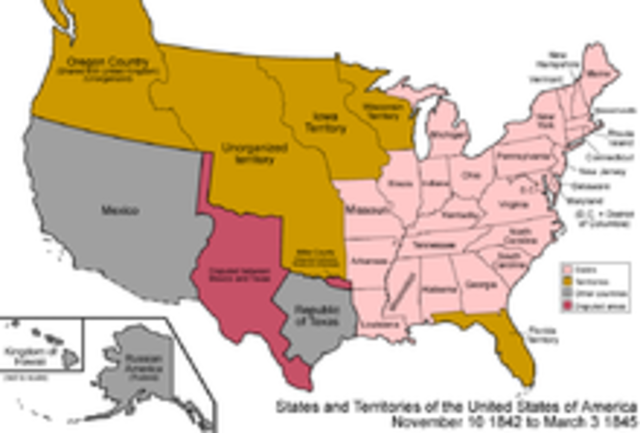 Texas entered the Union as the 28th state following a war with Mexico that resulted in the American-infested Texas declaring its independence from Mexico. 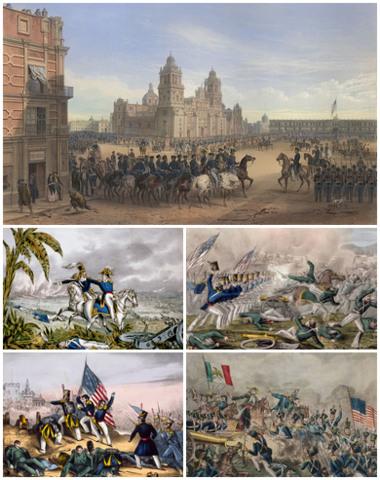 A conflict between the United States and Mexico that ended with the annexation of the Texas territory. 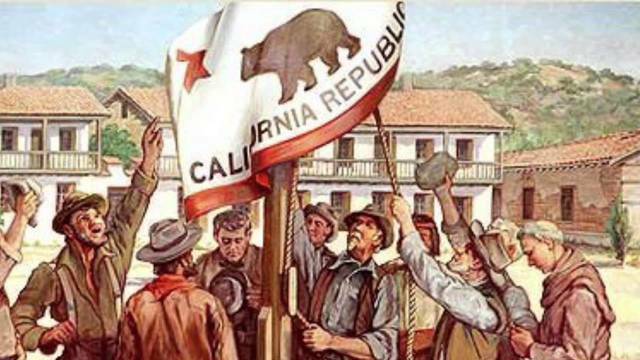 A group of Americans in California rebelled against Mexico and declared independence. A Perfectionist religious communal society started by John Humphrey. 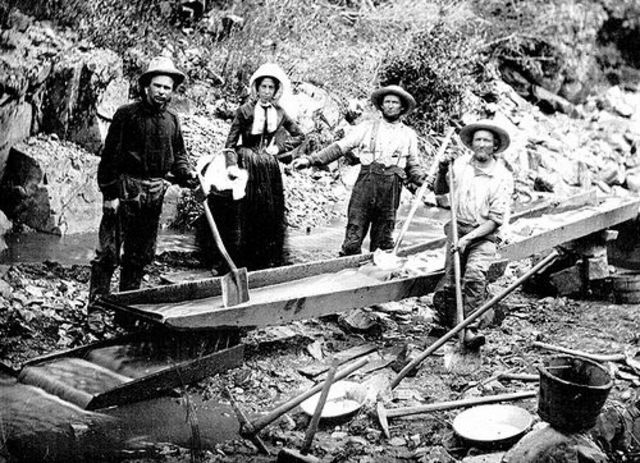 A gold rush that started when gold was found by James W. Marshall at Sutter's Mill in California. It pushed the westward expansion even more. 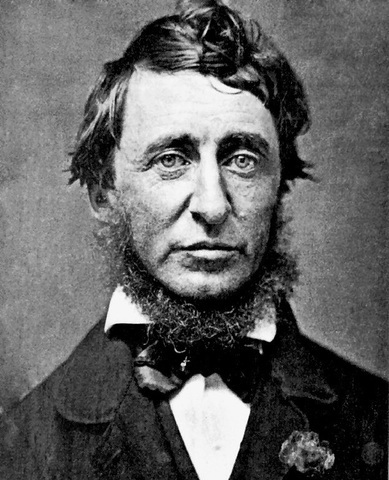 An essay published by Thoreau that claimed people should be agents of injustice and refuse to allow governments to override their consciences. 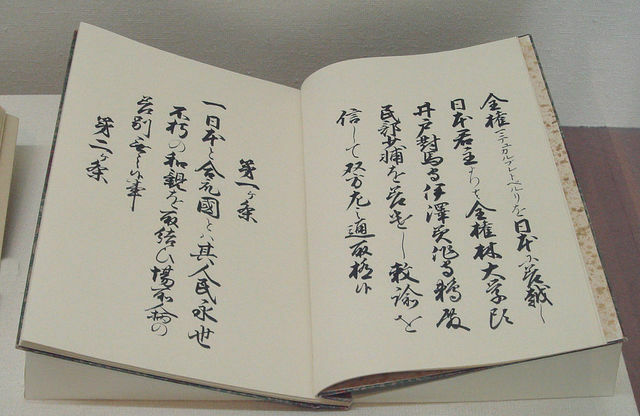 Sought to establish trade between China and the Western world for the first time in almost 200 years. It ended Japan's isolationist trade by opening their borders for the first time in 220 years to American vessels. 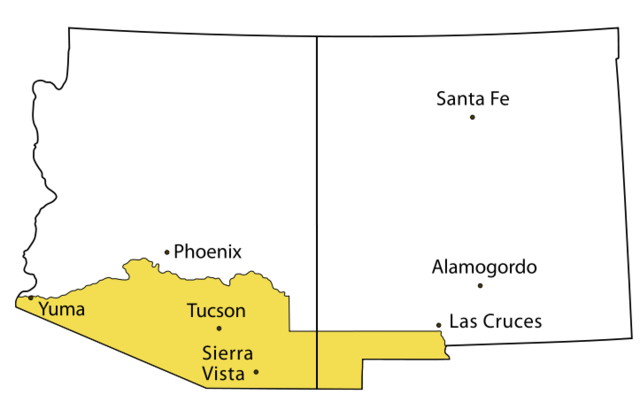 A purchase that gave the United States present-day southern Arizona and southwestern New Mexico, purchased from Mexico with a treaty.